Victoria has over 50 Blue Light disco's operating throughout the state. Off duty Police and Civilians are involved in their supervision. Children have safe environment in which to enjoy themselves. The Blue Light program has evolved and not only includes discos but also a diverse range of youth programs and initiatives. Our vision is 'to be a leader in youth engagement', and to achieve this outcome our mission is 'to enable youth engagement through the provision of Blue Light initiatives, between Victoria Police and the community, in order to achieve positive outcomes for young people'. All our programs and activities are conducted in a safe supervised environment by police members and community volunteers. They are free from alcohol, drugs and violence. Our program has developed into a crime prevention initiative, which aims primarily to identify and address the needs of young people who are 'at risk' and also provide education, crime reduction, life skill, cultural, social and sporting programs for young people aged between 5 - 18 years. 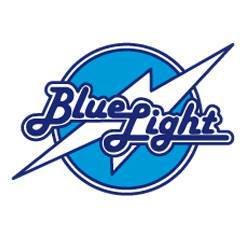 Blue Light will also donate surplus funds back into the community particularly where they will benefit young people and youth orientated charities. Please contact us for information, ideas and suggestions and any thing you may wish to discuss!